Practice can be the difference between going home empty handed or filling your tag. Fine-tune your shot this offseason with this Rinehart® Large Black Bear Archery Target. 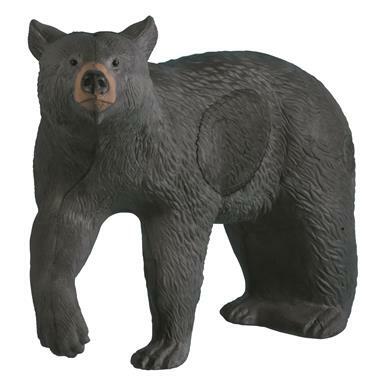 Durable Target is sculpted to simulate a 250-pound black bear and features true-to-life anatomy. Plus, Rinehart®'s self-healing foam makes it easier than ever to remove your arrows—no lubricant or pullers needed!